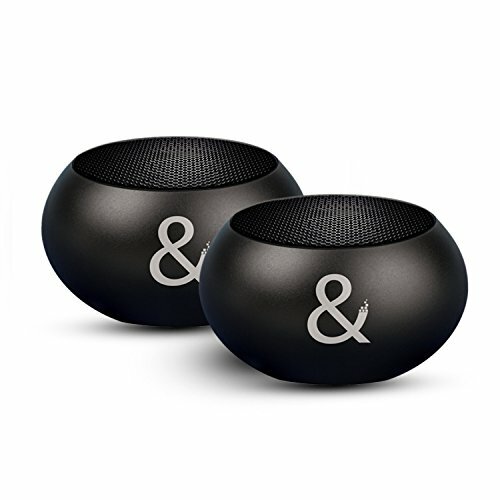 The X2 Wireless Surround Bluetooth Speakers revolutionize how you listen to music. The Wireless Surround technology enables you to have a transformative audio experience out-of-the-box. Enjoy a wider sound stage, more power, and unparalleled instrument clarity with the easy to set-up and use X2 Wireless Surround Bluetooth Speakers. Buy now! ✅【Ultra-Portable】The palm sized, aluminum-body X2 speakers are perfect for travel and are easy to store weighing only 0.15 lbs each. Travel with them and recharge using the included travel cable or magnetic charging base. If you have any questions about this product by Kempler & Strauss, contact us by completing and submitting the form below. If you are looking for a specif part number, please include it with your message.